I'm born in Gafsele the first January 1987. I still live in Gafsele and love it! I have 4 brothers and one sister. 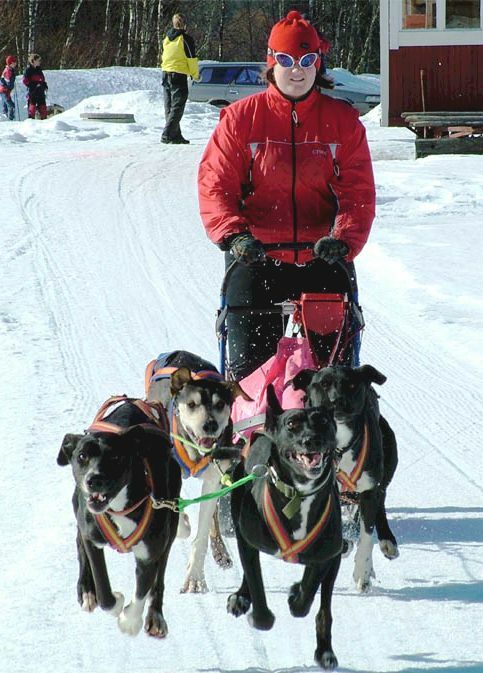 It's only me in my family who have sleddogs. I work and race for Gafsele SHK, who every year have a big race like Europe Cup race or something. In 1998 I start visit Egil & Helen who lived here in Gafsele then. I really liked it. In the end of the winter I got two dogs (Siberian Husky/Alaskan Husky crosses) that I trained and just had for fun. 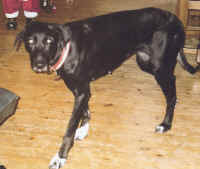 The dogs were very old so I got a Hound (Tina) from Petter Karlsson who now a days is running on my team as leader. I have a kennel made for 15 dogs, but now I have 12 dogs (1 puppy and 1 yearling). My goal is to have 10 race dogs so I can train one 4-dog team and one 6-dog team. For me it is important to have insulated doghouses so the shorthaired dogs keep warm. When it's real cold I have a building with inside doghouse. I feed my dogs with 30% Sportsman's Pride (30/20) and 70% Meat. I work with crossbreed between German shorthaired pointer, English pointer and Alaskan/Siberian Husky. I have also a purebred German shorthaired pointer. I want that my dogs are calm in the kennel. 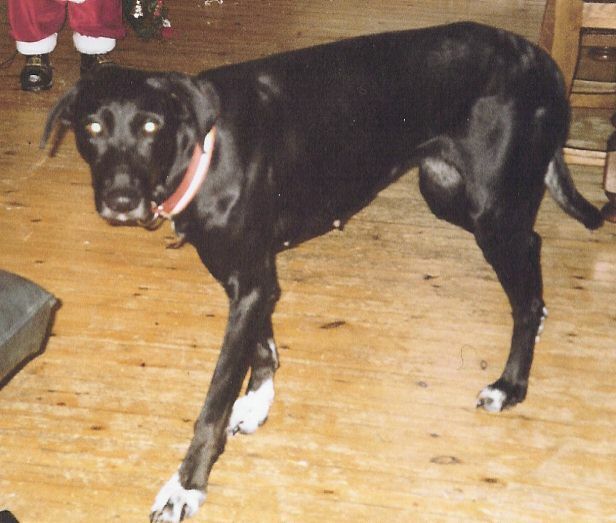 My favorite dog is Tina (50% German shorthaired pointer/ 50% Alaskan Husky). Tina came to me as a yearling and she was a bit scared and didn't eat. Now days she is always living inside and hates to be outside. She is one of my best dogs and always running in lead. Tina is now starting to get older but you can't see that on her. She loves to play with all dogs. When I'm going to breed a dog I look first how they are with other dogs and things like that. I always train the puppies to be loose and listen to me when I talk with them. 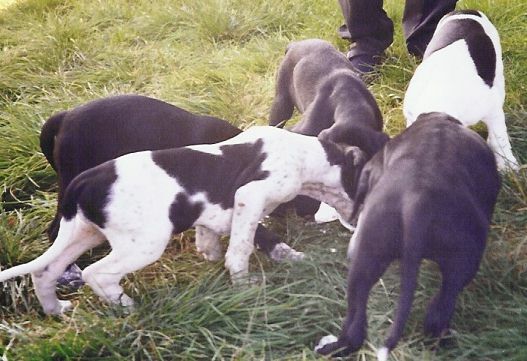 When I start to train the puppies I always go with a 6-dog team like two old leaders and then one old dog and one pup, so the puppies are not allowed to run beside each other. When I'm going to choose a youngster, I look how big the youngster is and if it is my "type" of dog. I always train so it is easier (distance) in a race then in training. I don't put any goals when I'm training because it's living things we work with and the dogs have their good days and their bad days like we do. So every time I'm out for a training I just hope that the dogs are well and doing their best. I go to both small and big races. Europe cup races I go to both at home, Hamar (Norway) and Kiruna. 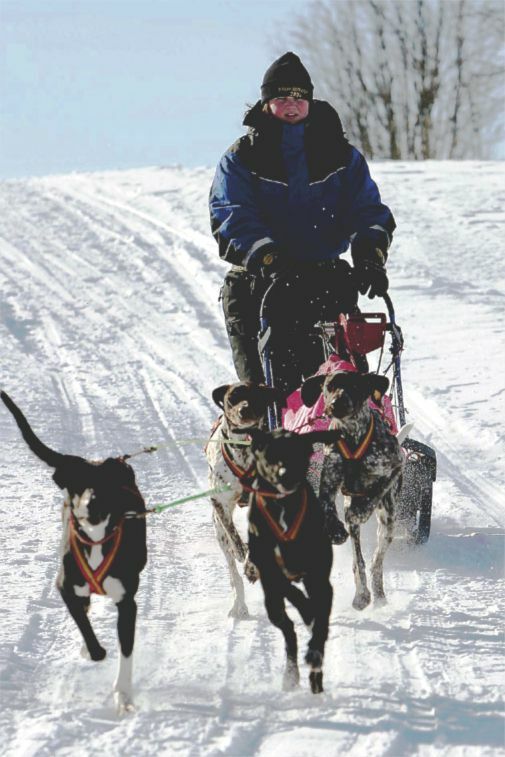 I go to a lot of "time training" and "local races" and I think that is good for the dogs. My strengths as a racer are that I look long time if I had a bad time on a race. It's ok- it is just to look to the next race. DON'T GIVE UP! I don't have any weaknesses. Maybe I'm too nice! I want to be best in 4-dog class sprint, but I don't know when. If you want to win you can't give up the first 10-20 years. It take time to win! 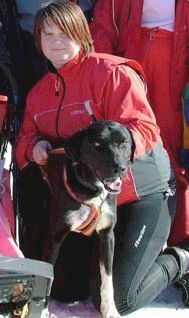 I hope there will be more races here in Sweden and I hope that more mushers talk with their home club and try to do something for the sport, no body else can do it. I think more clubs who organize races have to work more on getting spectators and talk a lot with the media. If I meet a beginning musher I just want to say, take it easy, don't go so fast with buying a lot of dogs, start to visit a musher and help them. I don't have any special sled dog experience--every time I'm out is like one! !